eBay (NASDAQ:EBAY) has given investors little reason to buy its stock in recent years. EBAY stock was immensely popular in the early days of the internet boom, when the company dominated online auctions. However, strategic missteps slowed its growth and mostly limited eBay to its core business. Still, investors may be forgetting the fact that eBaY still controls the online auction niche. Along with many equities in 2018, the trade war and the recent bear market have taken EBAY stock close to its multi-year lows. With the equity reaching a resistance point and the company’s earnings rebounding, investors should take a look at EBAY stock. Many often forget that EBAY stock was one of the more sought-after equities during the 1990s tech boom, when eBay expanded around the globe and acquired companies such as PayPal (NASDAQ:PYPL) and Skype. However, EBAY stock price never really had a huge, sustained rally this century, as EBAY largely failed to venture beyond its original business model. Its forays into online payments and communications ended with the divestitures of PayPal and Skype. eBay’s missteps caused its China venture to fail, despite its many similarities with Chinese retail giant Alibaba (NYSE:BABA). While eBay retained a significant e-commerce presence, it failed to reach the level of dominance achieved by either Amazon (NASDAQ:AMZN) or Alibaba. Still, it’s not totally accurate to view eBay as a less-innovative version of Alibaba. While eBay’s heyday has ended, investors can still profit from EBAY stock. eBay remains dominant in the online auction niche. Furthermore, it has returned to double-digit profit growth. Analysts’ average estimate calls for the company’s net income to increase 15% this year and 12.6% next year. They also expect those double–digit percentage increases to continue through at least 2021. Investors saw this for a time as they bid the EBAY stock price from below $22 per share in 2016 to almost $47 per share by early 2018. But in the wake of the trade war and the bear market, investors took their eyes off the ball. As a result, EBAY stock currently trades in the $27 per share range. That’s near the stock’s 52-week low, and it’s arguably the best reason to not buy eBay stock at the moment. Stocks trading near their annual lows tend to keep making new lows, and investors rarely successfully defy trends. However, I think that Nasdaq’s bear market is the biggest factor behind the retreat of EBAY stock, which now trades near its multi-year lows. Moreover, the stock’s forward price-earnings ratio has fallen to around ten. One cannot predict a stock’s behavior based on its price-earnings ratio alone. However, stocks with double-digit profit growth rarely reach such low valuations. Furthermore, as InvestorPlace’s Luke Lango pointed out, eBaY trades well below its fair value, based on discounted cash flows, and its forward PE ratio is well below the historical average of 16. Given these factors, the question is not whether to buy EBAY stock; it’s whether to buy EBAY stock for a short-term trade or a long-term investment. EBAY stock should make a comeback when investors’ bearish mood subsides.Wall Street should again begin to appreciate that eBay is still the top player in its niche. Additionally, its top and bottom lines should continue to grow steadily. Given the market’s bearish mood, investors may not want to buy eBay immediately. However, the stock has fallen close to multi-year lows, increasing the likelihood of the declines stopping soon. 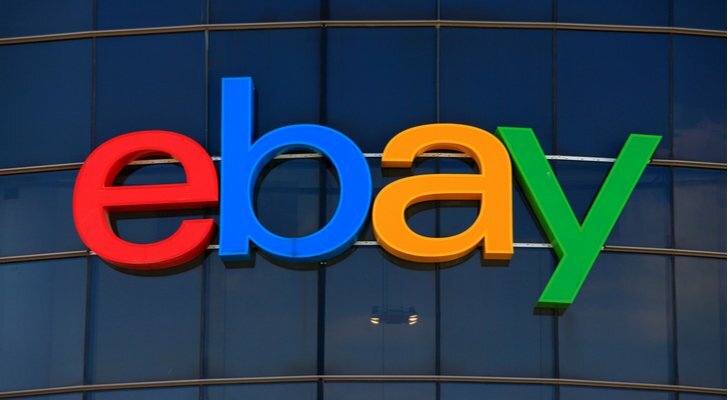 With a forward PE of ten and double-digit profit growth, EBAY stock could be a profitable name to trade and could even reward investors over a longer time frame. Article printed from InvestorPlace Media, https://investorplace.com/2018/12/ebay-stock-question-how-when/.